top & base are available. The flat surface of rectangular lead brick gives good protection. But for maximum protection, we offer interlocking bricks. Their V-shaped edges allow safe and easy stacking to form a walled enclosure, thus minimizing the chance of collapsing. Radcare Research offers several sizes and thicknesses as well as end and corner brick to meet your particular. 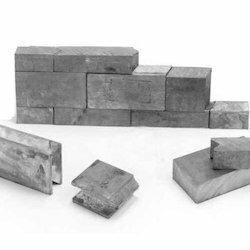 We are a prominent Manufacturer and Exporter of Lead Bricks that are highly resistant to nuclear radiation. These Lead Bricks are manufactured in compliance with international standards. We offer Lead Bricks in varied specifications to meet client’s requirement. We are offering Lead Bricks. Lead Bricks allow you to build temporary or permanent shielding/storage situations. Lead bricks are easy to stack, unstack and relocate, and provide maximum protection. Interlocking Lead Bricks make it easy to erect, modify and relocate protective walls and enclosure of any size. We are offering our client an excellent quality range of Lead Bricks. These Lead Bricks are made from very high quality raw material which ensures high durability at its user end. These Lead Bricks are in high demand in the market. Different sizes and designs are easily available in the market. 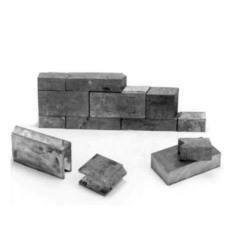 Our Lead Bricks are available at industrial leading prices. With our in-depth knowledge of this domain, we are actively engaged in offering an excellent quality assortment of Lead Bricks. Lead Storage Container[Type No. : LS255] Lead Storage container LS 255 isa rectangular lead box with top openable lid. This is designed for storing loose low-intensity radioactive sealed Beta or Gamma sources, in large numbers.